A recent news story out of Loomis, CA highlights the importance of food safety for seniors. In an odd event, a caregiver at a senior residential board & care home picked wild mushrooms from the facility’s lawn to use in the preparation of a soup for dinner. Unaware that the mushrooms were toxic, the soup was served to residents and workers at the small facility; leaving four people ill and two senior women suffering the fatal effects of the mushroom’s toxins. While stories like this are rare, many seniors have dietary restrictions, allergies or reduced function of their immune systems, making food safety and preparation a major topic of concern. However, for seniors receiving assistance in their home, a homecare software or homecare system, such as ClearCare can make food safety for seniors an easier module of care to manage. A variety of conditions that affect seniors can be impacted by diet. Whether a senior suffers from diabetes, arthritis or a food allergy, eating the wrong foods can have a significant negative impact on health. 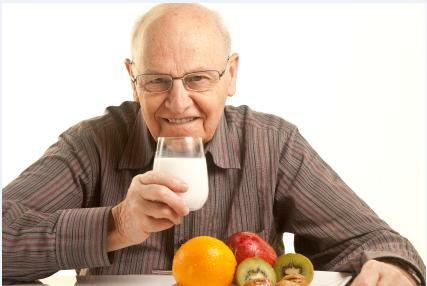 Likewise, the reduced function of the immune system in many seniors makes food safety of the utmost importance. Undercooked meats, raw eggs or spoiled food can make seniors sick with greater ease than younger individuals. Managing all of the aspects of a senior’s dietary needs can be tricky; especially if multiple caregivers are providing assistance. However, technology can help! Home care agencies utilizing the power of a robust homecare software and homecare system, such as ClearCare, will find that using technology to manage the dietary restrictions of seniors makes their caregivers more reliable. With task reminders within a homecare software, caregivers can be easily reminded of important meals; and secure web access to client care plans via a homecare system, caregivers have real-time access to the dietary restrictions and needs of their clients. Additionally, a homecare software or homecare system like ClearCare allows caregivers to leave comments on a client’s eating habits- keeping family members and agency administrators up to date on any food-related issues. Managing dietary restrictions and food allergies of seniors can be a daunting task. However, with the help of a homecare software or homecare system, such as ClearCare, your caregivers can be armed with the information they need to keep your clients safe when it comes to food.